Of great relevance to contemporary issues is the following incident from the life of Archbishop Theophan of Poltava of blessed memory. Such an incident gives guidance to lovers of truth in the midst of certain unstable situations. An evident example is the situation in Ukraine (which effects America too) and the establishment of a pseudo-church there which is promoted by the EP. Persistent is the enemy whoever seeks to subvert and destroy the Truth, most of all “from within.” Ultimately, Truth is inviolable because it is founded in God, Who transcends the confines of transient mortal existence. Yet, men, even those who are physically within the bounds of Orthodoxy, can betray and sell out the Truth. Memorable also was the moment when Archbishop Theophan met with a group of clergy of the ‘living church’ trend and some liberal professors at the Moscow All Russian Council in 1917-1918. Between adherents of the Church order of Holy Russia and the modernist clerics the dispute never died out during the whole time of work on the Council as to whether one should conduct church life by the old course or make concessions to the spirit of the times and modernize church life. The Revisionists, or “living church,” was a group of pseudo-orthodox around the time of the Russian Revolution. They were promoted by the Communist government for a time so to disseminate confusion and division within the Church and the minds of the people (at some point the EP also supported them). As indicated above, they had a strong agenda of revisionism, which ultimately is the destruction of True Orthodoxy in favor of a diluted “modern” version. And here the modernists politely, respectfully came to Archbishop Theophan; apparently even they felt in him a spiritual giant of Orthodoxy … ‘We respect you, Vladika, we know your church wisdom … But the waves of the times flow swiftly, changing everything, changing us; one must give in to them. You, too, must give in, Vladika, to the raging waves… Otherwise with whom will you be left? You will be left alone. Notice how the revisionist of every age refer not to the eternal and abiding nature of Revelation but to the mutable “times” as a standard. They fear not being without God but being without prestige in the eyes of the world. They would keep the outward shell of Orthodox rites while eviscerating the inner life of all vitality and substance. Of course, this is just what the enemy of our salvation desires: a show of Orthodoxy with no power, having a form of godliness but denying the power thereof (cf. 2 Tim. 3:5). With whom will I be left? I will be with St. Vladimir the Enlightener of Russia. With Sts. Anthony and Theodosius the Wonderworkers of the Kiev Caves, with the holy Hierarchs and Wonderworkers of Moscow. With Sts. 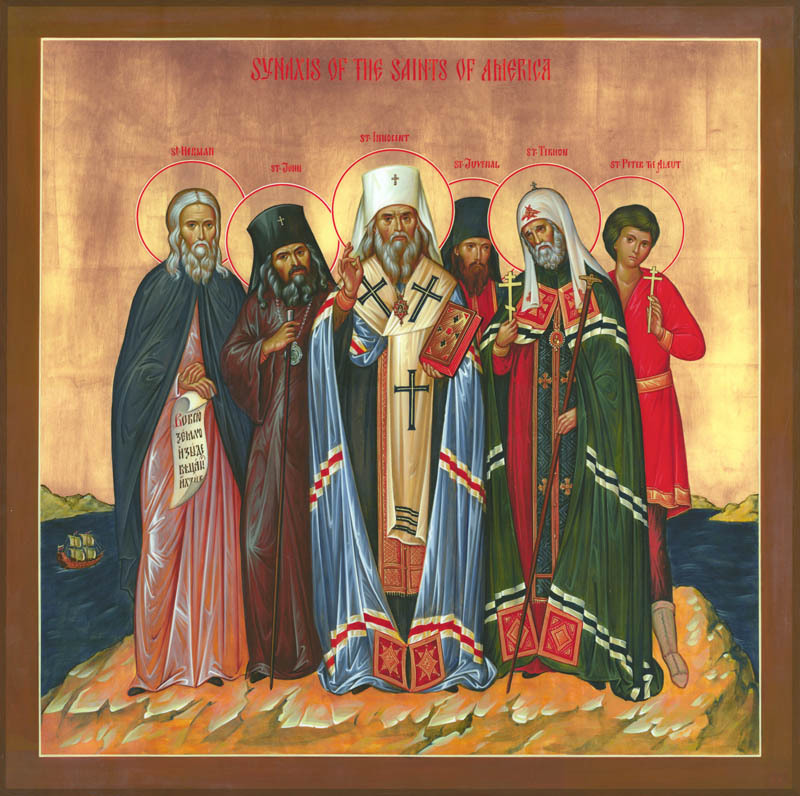 Sergius and Seraphim and with all the holy martyrs, God-pleasing monks and wonderworkers who have gloriously shone forth on Russian soil. But you, dear brothers, with whom will you be left if even with your great numbers you give over to the will of the waves of the times? They have already carried you to the flabbiness of Kerensky*, and soon they will carry you under the yoke of the brutal Lenin, into the claws of the red beast.’ The church modernists left Vladika in silence after his reply. The current of the “times” flows inescapably to the totalitarian rule of godlessness, whether it wears the mask of religious piety, even an “orthodox” one, or not. Soft peddling or collaboration with the spirit of the age leads only to the claws of the beast. The enemy eagerly constructs an “orthodox” version of this spirit. What are we to do? Together with Archbp. Theophan we must desire to stand with the Saints, even if this means standing alone in the eyes of the world. *Alexander Kerensky was a leader in the Provisional Government after the overthrow of the Monarchy in Russia. The weak-willed liberal Provisional Government essentially paved the way for the Bolshevik takeover. Hey Buddy!, I found this information for you: "Standing Firm With the Saints, Rejecting the Spirit of Modernism". Here is the website link: https://russophile.org/standing-firm-with-the-saints-rejecting-the-spirit-of-modernism/. Thank you.